11 1/8 L x 2 3/4 W x 8 1/2 H in. 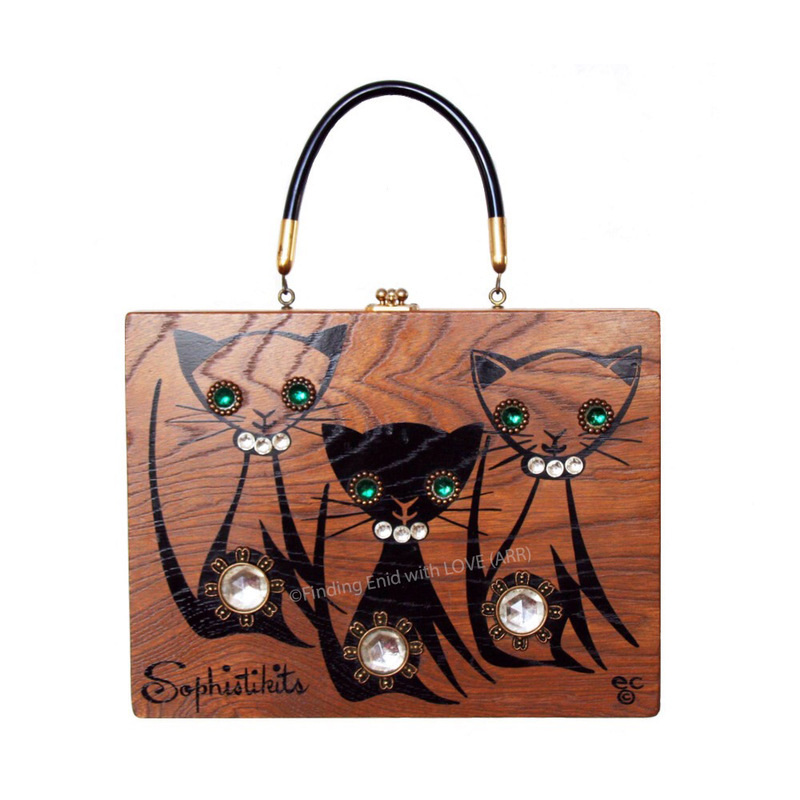 Box purse depicting three Siamese-like, stylized cats screen printed in black and decorated with faux gems. Kittens eyes are done in Emerald jewels; collars and legs in Crystal stones. "Sophistikits" is screen printed in lower left corner. One of multiple variations on a theme very popular with Enid Collins and collectors.